When the upstairs apartment’s broken, leaking, water heater flooded into my Ex-husbands apartment they had to all but move out. They were not the only ones who lost their space. Our garage became home to some of their belongings. Shoes began to pile in corners, boxes began to pile on my sewing counter. The laundry area became an obstetrical course and the dogs lost their lounging area. I bought a new bed and my old one sat right in the middle of my sewing area having no place else to put it for the time being. When overflow encumbered me I fretted. How can I possibly sew anything? Well, if life gives you an overstuffed sewing room then knit dolls. And so I did. 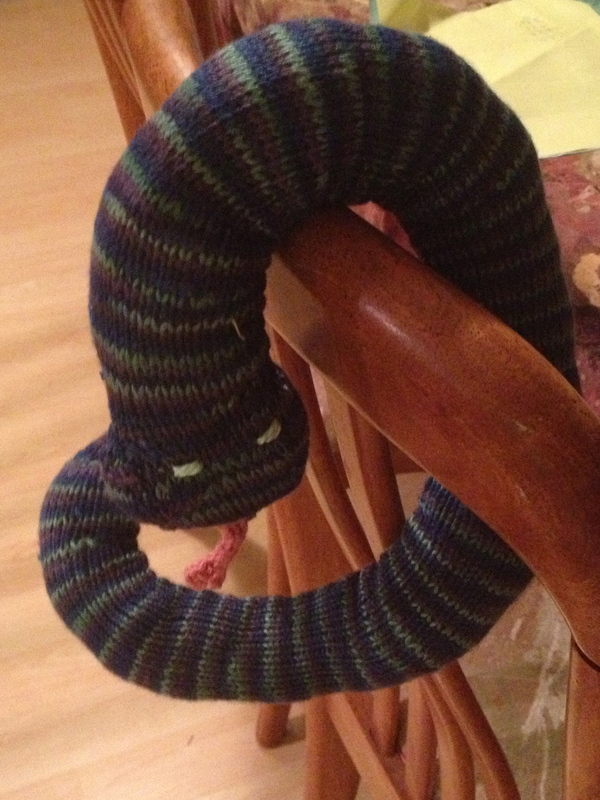 I knitted Nico a snake and two snakes for the little boys next door. 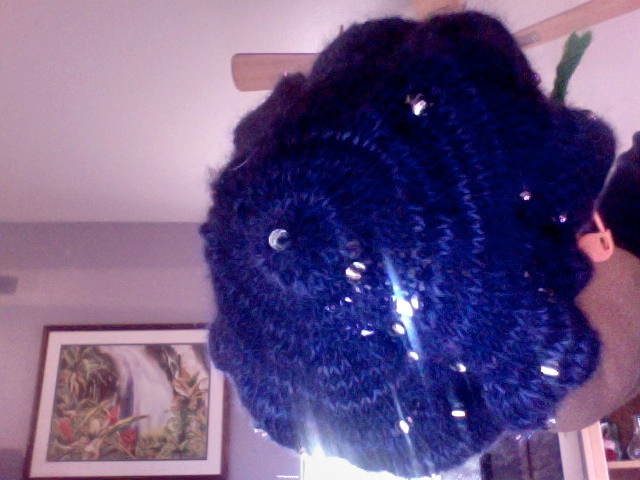 I’ve been feverishly working on a shawl with crystals placed strategically to look like the constellations of the northern Hemisphere. But I’m afraid mine is going to look like “The Forbidden Planet.” We’ll see There were many projects I finished up and I felt quite good about it. At last the day has arrived and my ex is back to clear the garage. After being out of their town house for 6 months all repairs have been finished up and they have come to get their belongings. I cleaned off my counter in my sewing area, dusted and put odds and ends away and before my very eyes appeared a clear path to my sewing machine. I can finely sew at last. Well with one minor exception. My old bed is now gone but in its place is the mattress to my grandsons old bunk bed. You can just see part of the mattress on the right hand side. My comfy chair to the left, where I sit and many a time recline and just about fall asleep to the sound of a British Mystery, is waiting. But that’s not the problem. 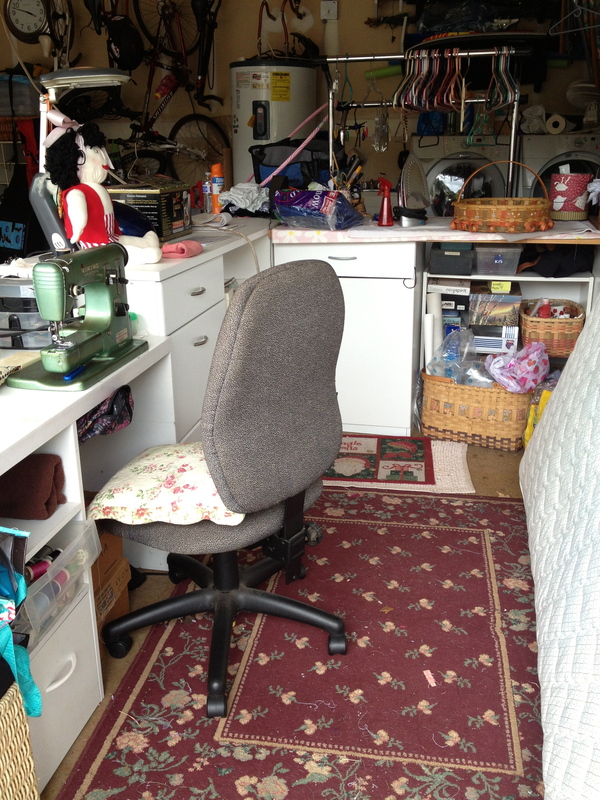 Now that I have my sewing area back I really don’t have an excuse to knit all day and I do have to start sewing. My problem is, if I go out there to sew, load up a mystery DVD on my computer to watch, how will I keep myself from laying the mattress down and taking a long snooze. Hmmm maybe a crowded garage was not so bad after all. The ocean is gray, the sand does not look soft. My friends and I reflect after having driven out here for what we thought would be drinks and entertainment in one of the hotel lounges. The Kahala Hotel, once known as the Kahala Hilton, where royalty and rock royalty once flocked to had lost its uniqueness. The lounges were closed, the restaurants deserted. 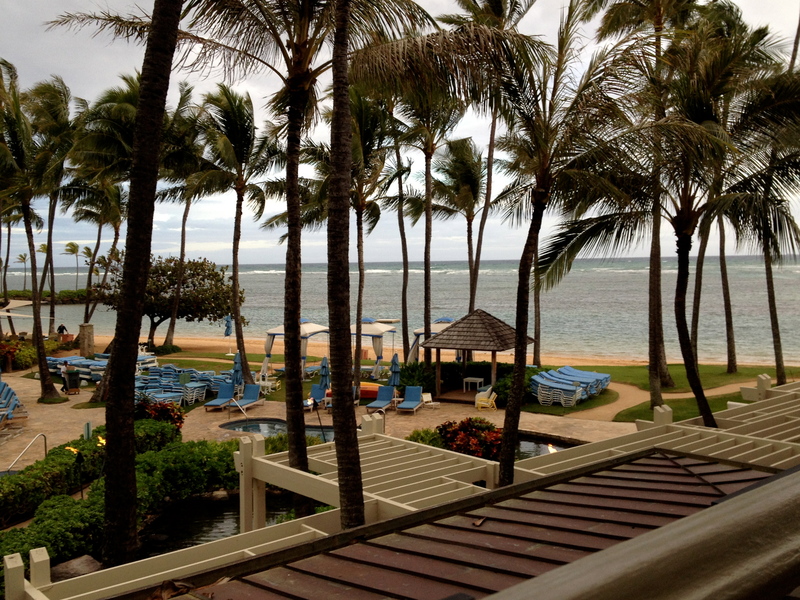 So we sat out on the windy lanai to have a few drinks. The hotel still has its lagoon with dolphins swimming and leaping and its attractive lobby . Maybe Sundays have become sacred and 6 PM was the new bed time. But I was in good company and enjoyed our repartee. Don’t think I will return but if you would like to check it out because it looks so much nicer on their website here is the link. 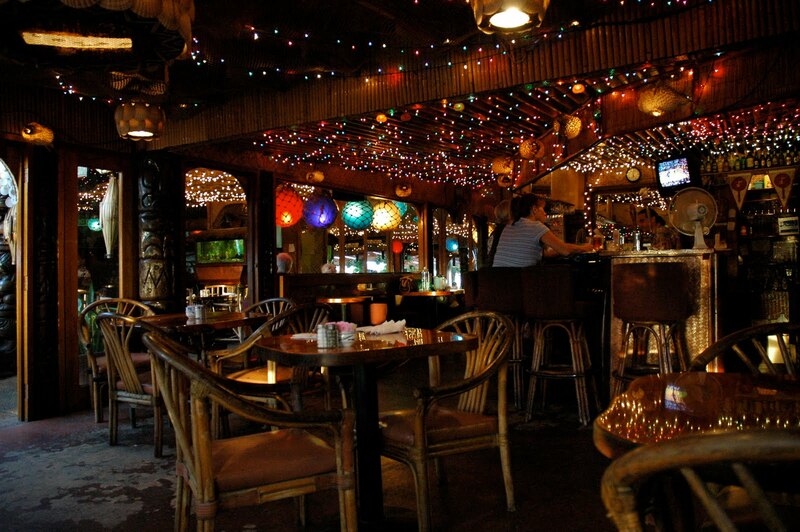 http://gohawaii.about.com. This hotel has changed names so many times I am not sure what it is but this site will update you. Go ahead and book a room if you have an extra three or four hundred burning a hole in your pocket. I guarantee this, you will have privacy and seclusion. 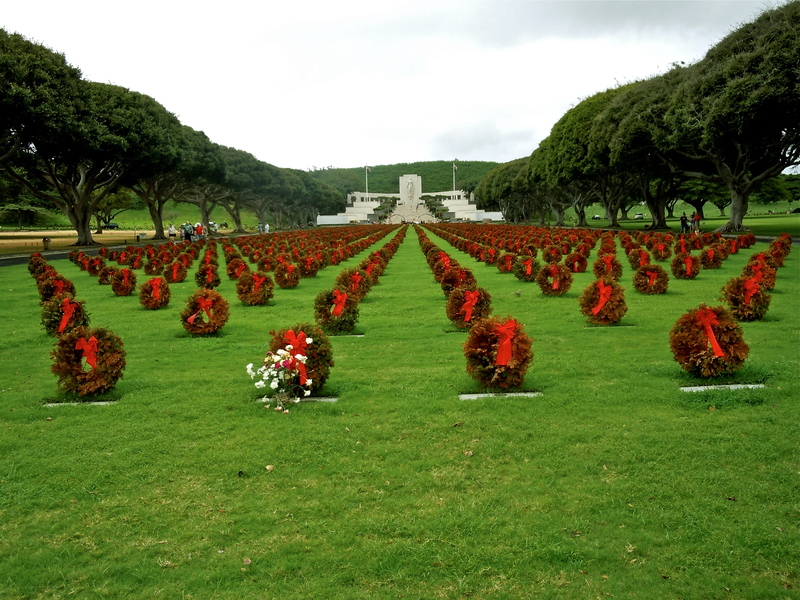 I visited Punchbowl cemetery to attend a funeral. It was only a few days after Memorial day. 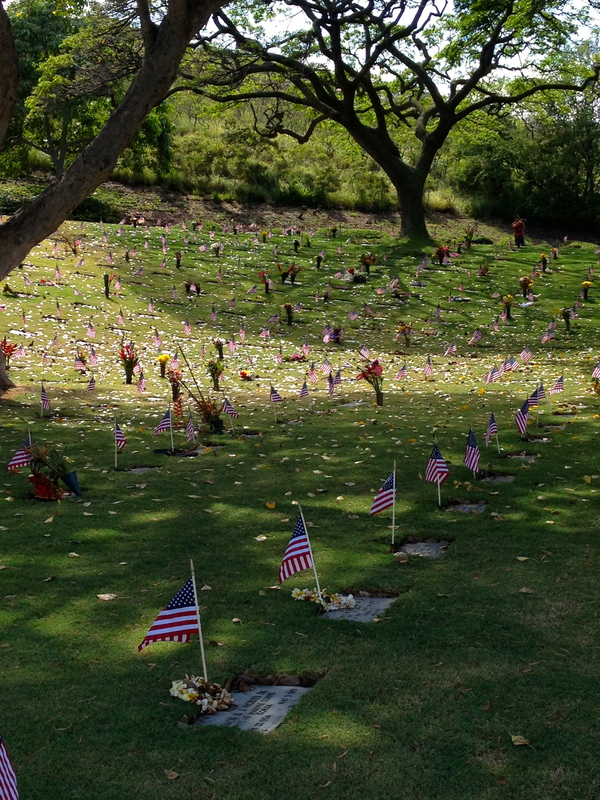 As we headed to Punchbowl Memorial Cemetery the driver and I discussed how the children of Hawaii during school would gather and make plumeria leis for all of the graves. No grave was to be left un-draped. This year, though, was different. The children were out of school already for the summer so that would mean that only volunteers would be left to make the needed 50,000 leis. We wondered if there would still be leis. 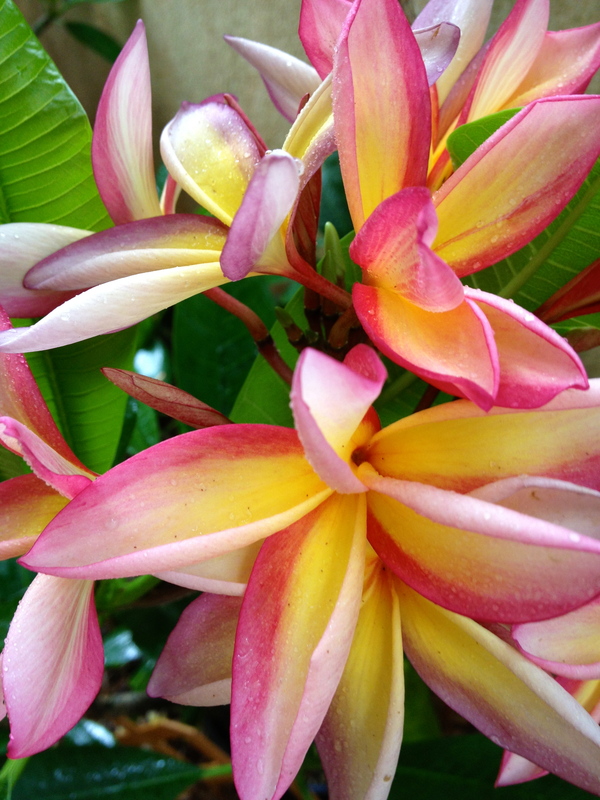 As we arrived at Punchbowl I could see plumerias but they were still on the tree as you can see. 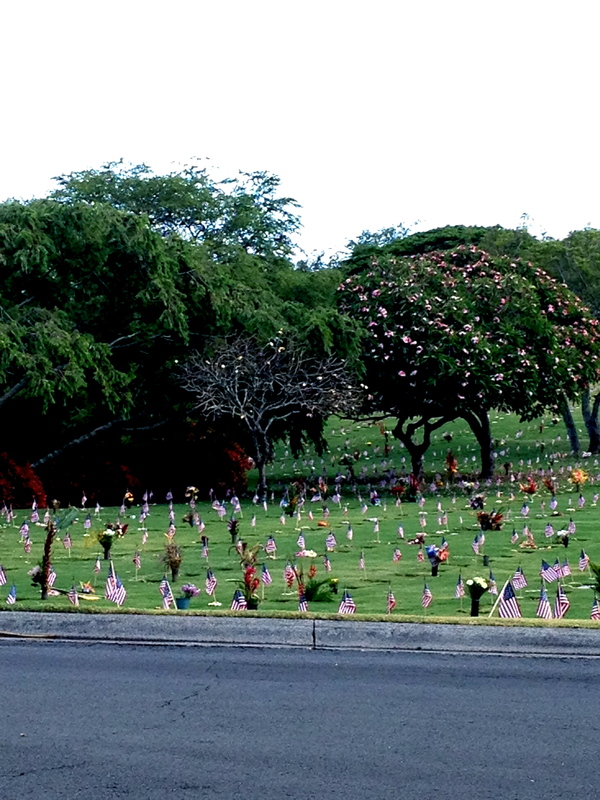 There were flags on every grave but there were no leis that I could tell. 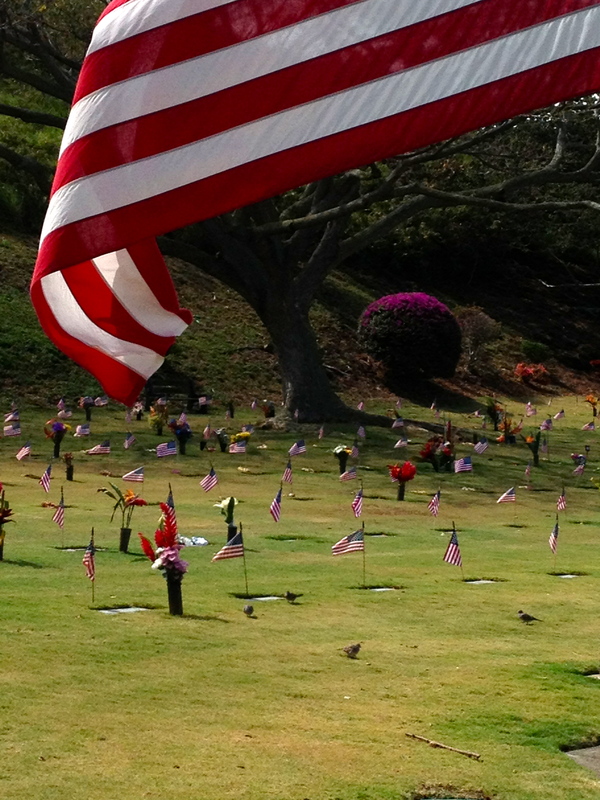 Here you can see Old Glory flying over some more graves and they too had no leis. 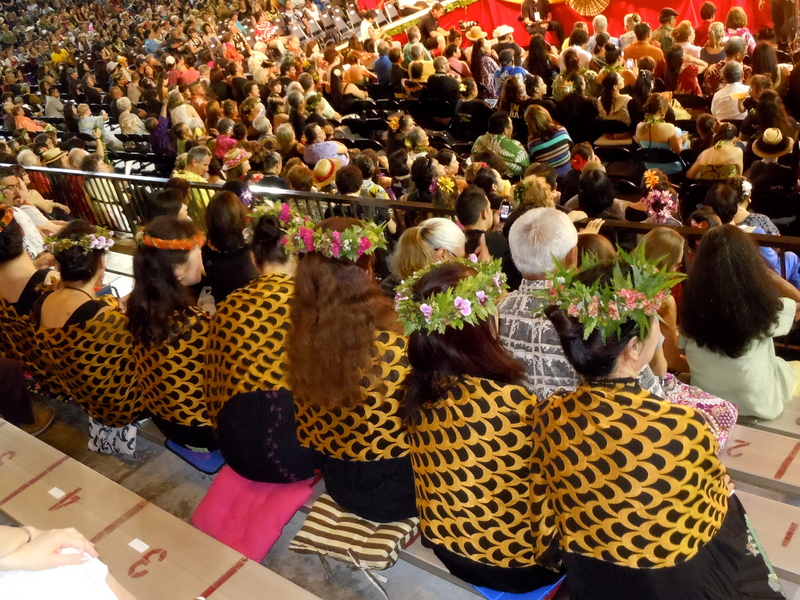 Since I was not really that familiar with the lei tradition I still felt sad as I looked at the flags waving. 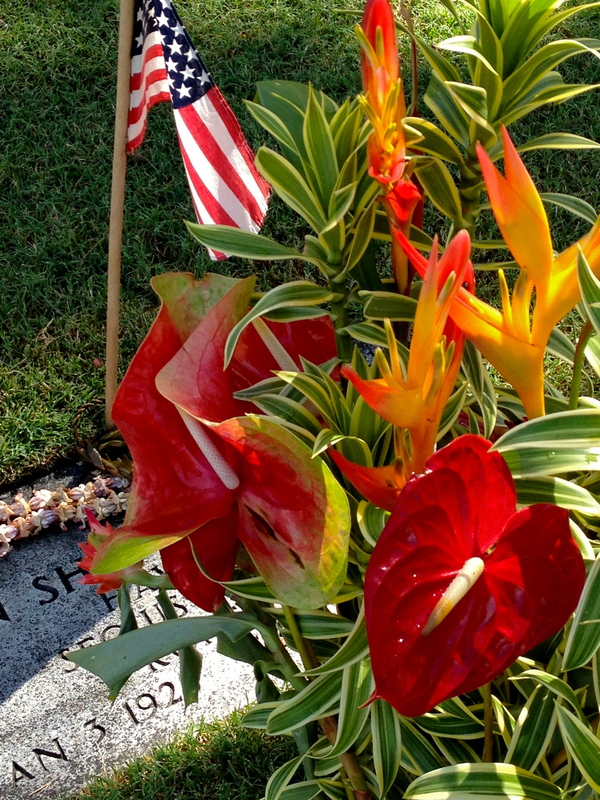 But this being Hawaii and has a tradition of beautiful exotic flowers I took a closer look at the graves that had been decorated by loved ones. Though there was not a plumeria lei here I think that these ginger and anthurium flowers would make any spirit feel lifted. They definitely say Hawaii. 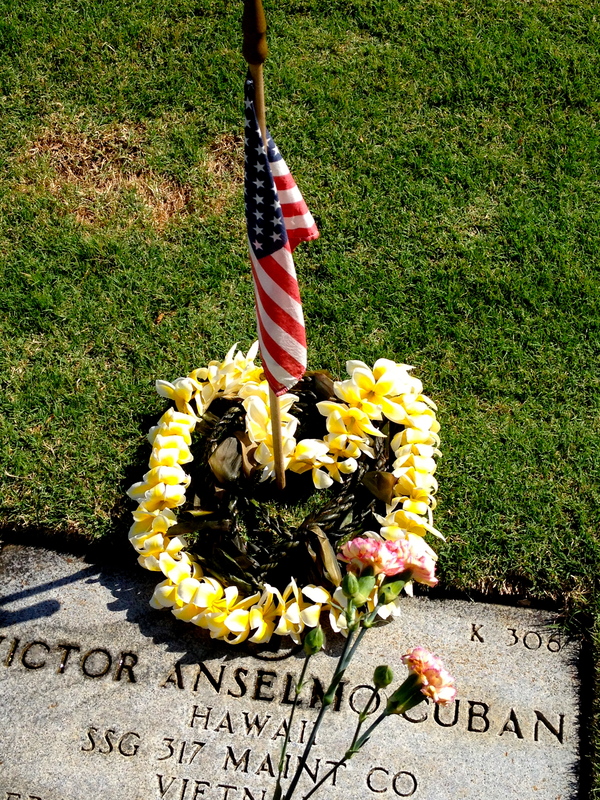 But as it happened I did find a plumeria lei that had been placed on a grave. Some loved one mad sure the tradition was carried on, at least for this soldier. As I looked on and on at the thousands of flags waving in a cemetery that is now so full it can’t take anymore dead, I could only wonder. When will the day come that we will not grieve over the loss of our precious loved ones because man just can’t get along. Please tell me. When will we see those plow sheers. Something bothered me a while back about a B movie I saw. It lingers now, affecting how I think about people. The movie itself is not memorable. A 17-year-old kid enters a 500 mile sled dog race to save his parents farm and get money for college. You know the kind of movie and most likely can predict the ending. The Iditarod happens to be an interest of mine and, though this was nowhere near that, I wanted to watch just for the race. As in all movies you either have the bad guys or a seemingly insurmountable object. In this one you had both. The frost biting weather, the frozen or not so frozen lakes and the unforgiving tundra divides the men from the boys or the soul from the body as the case may be. A 17-year-old boy entering and thinking that he has a chance especially when he’s never raced gives the movie it’s suspense. Then there are the bad guys. The stereo types that Hollywood can’t seem to make a movie without. And this is what bothered me. There were the noble Indians, the kind American and, here we go, the evil German who kicks dogs and threatens the young boy. The German’s sponsor is a Scottish tight wad who will stop at nothing to win his money. The German was the one who bothered me the most. Now I have friends in Germany. Rainer, whom I’ve corresponded with for 18 years is the kindest, happiest man I know. It was on a train ride through Germany where a bunch of young athletic girls came to my rescue, tossing my luggage hand over head to move it for me when I had unknowingly put it all in the wrong place. And just recently I’ve come to know a couple of more young Germans through my Twitter site who are just adorable. Movies like these in the past had influenced my way of thinking about Germans. The movie always portrayed them as harsh, cruel and evil thinking. It wasn’t until I made contact with Rainer that I actually got to know about Germans and Germany. This is a shame. Our society today is so easily swayed. Even with the news we seem to only get the negative side. The more negative it seems the more sensational it is and the more they shove it down our throats until we can only see the bad side of people. That German in the race could have been an American that had tried to harm the boy in the movie. Kicking dogs is not unknown here. Can you say Michael Vick? Look at the puppy mills. Just look down the street at dogs who are chained and never leave the yard. Talk about cruelty to children we now have on trial a woman who killed her own little girl and dumped her in a plastic bag. This is not an isolated incident there are many. You can go on and on about the atrocities that have been performed by Americans. What I’m trying to say is, we are no different than any other race. We’ve tried to exterminate the Native Indians, we’ve experimented on a race of black men, (Tuskegee) we’ve even experimented on children (http://tech.mit.edu/V115/N49/radiation.49n.html) So why do we persist on stereotyping other nations? And my god, obsession with money. Why do we still paint the Scots as the proverbial cheap skate who will stop at nothing to get his hand on a dollar? Why we have Bernard Madoff. He has bilked and ruined thousands of innocent people. All’s I know is that I’ve got to start taking the news, movies, and “informed” opinions with a grain of salt. If the Pakistani man who I met at the museum is representative of his race, a person who listened attentively, had wonderful insights to offer and some very interesting statistics to share, I’d truly like to meet more of them. His concern about his children’s colds and the illnesses in his family only spoke to me of a person I seem to have talked to over the fence, at the store, or the office water cooler. I only hope to meet more people from other parts of the world. I hope that we all get to meet one another. I hope that we can come to an understanding, an appreciation and a love. Let’s take our own advise that we give to kids when they are playing in the park. “Now, children can we all just play nicely. 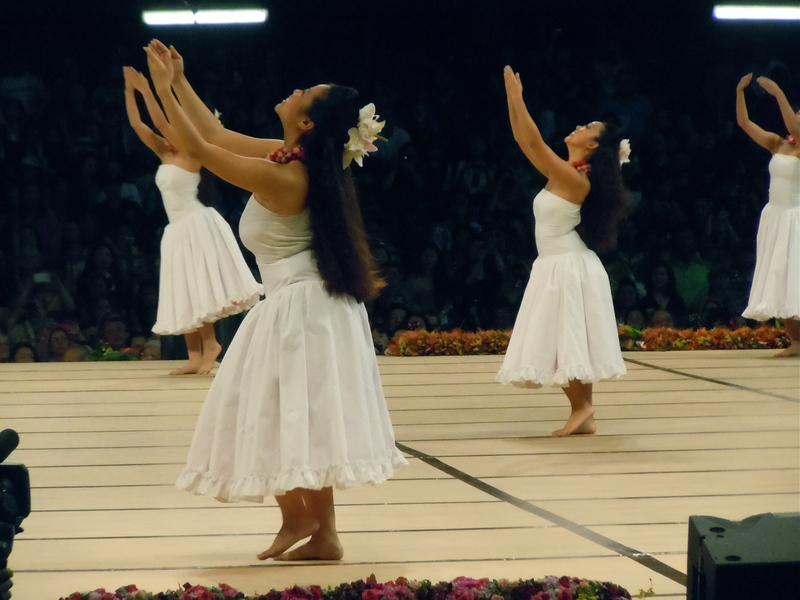 As we entered the Merrie Monarch Competition for the last time I was sure I would not enjoy it. This night was the Auana. 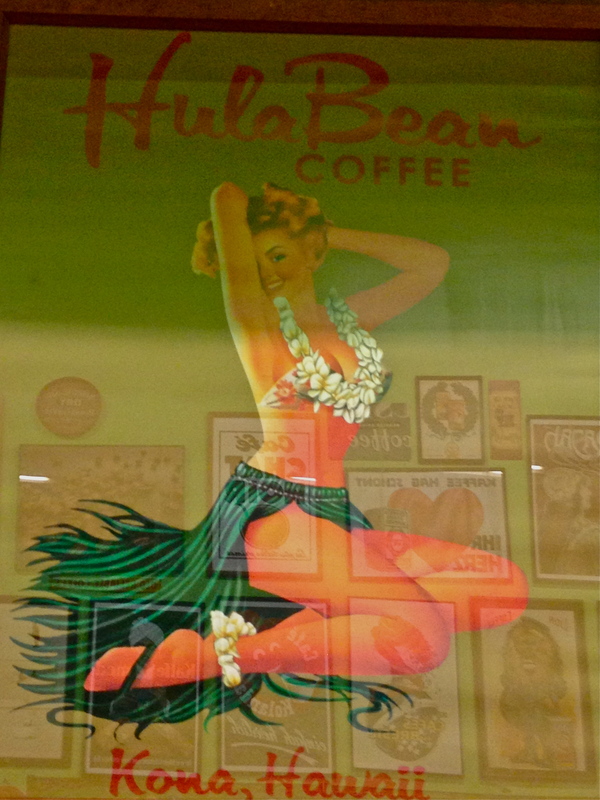 The modern-day hula. 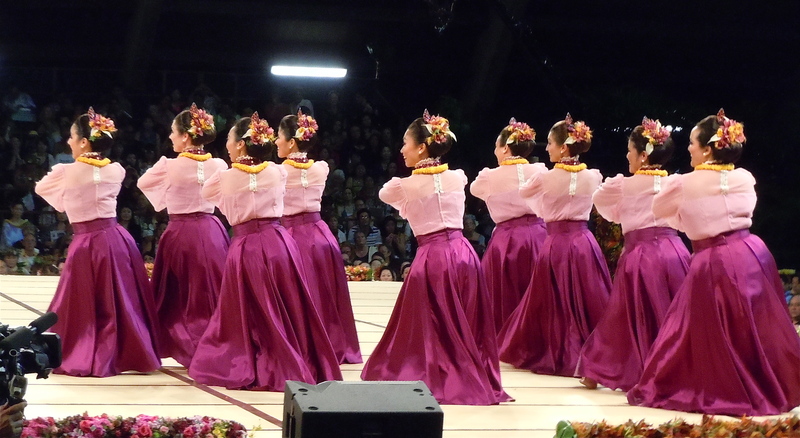 When visitors come to Hawaii, this is what they think of when they think of the hula. 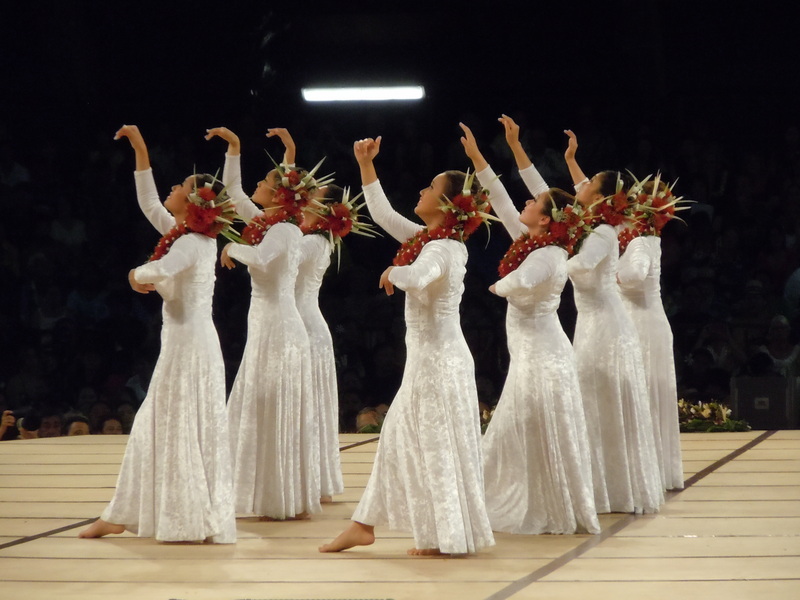 It is not as historical as the Kahiko which is ancient hula nor is it as exciting. 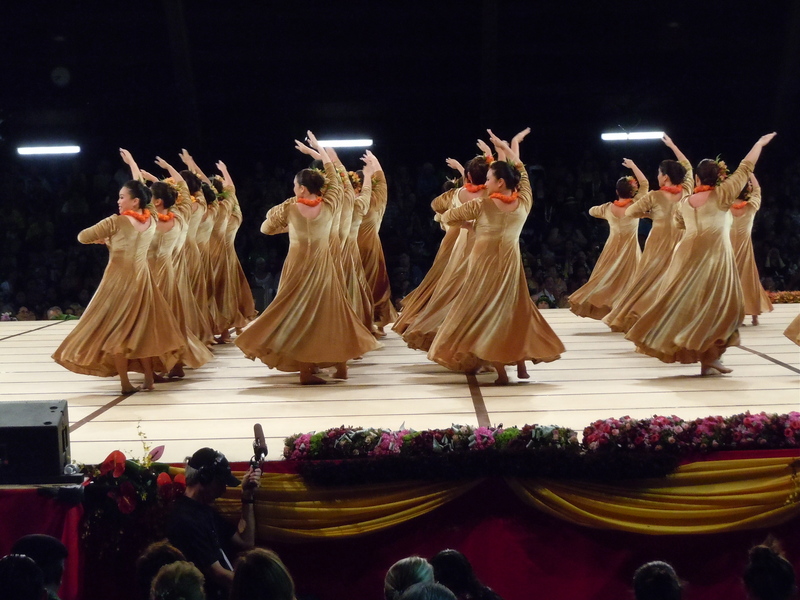 It is graceful, musical, and colorful. You are more likely to see swaying hips and hands as graceful as swans, slowly waving hypnotically. 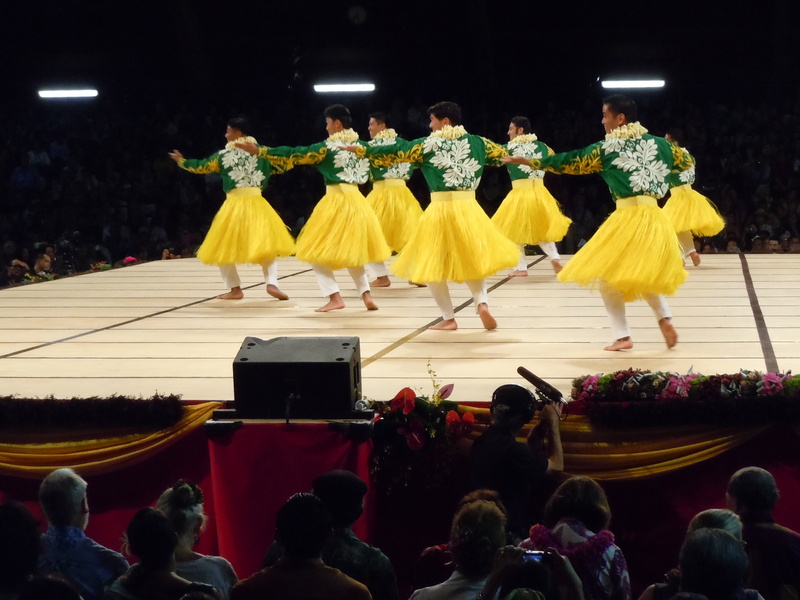 The dancers are fully clothed more often than not as this was part of the influence of the missionaries. 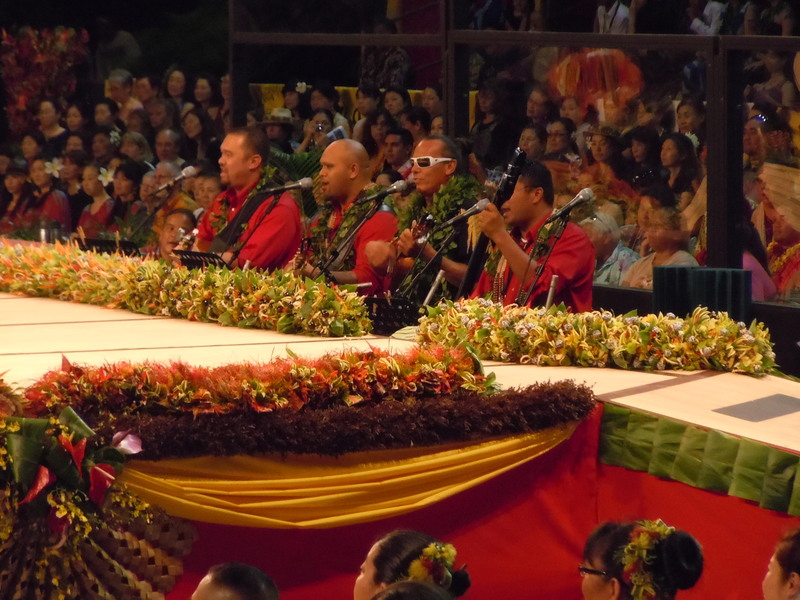 Unlike the Kahiko, there is singing and instruments playing. You don’t have the drums nor chanting. I was pleasantly surprised at the dancing this night though and the music was fabulous as well as the singing. 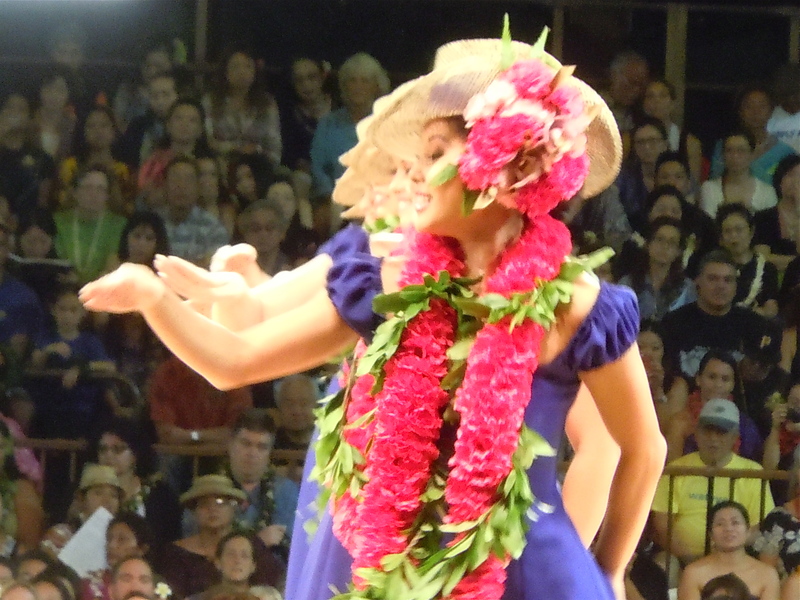 There were many noted performers singing t and it was like a consort and hula competition all rolled into one. 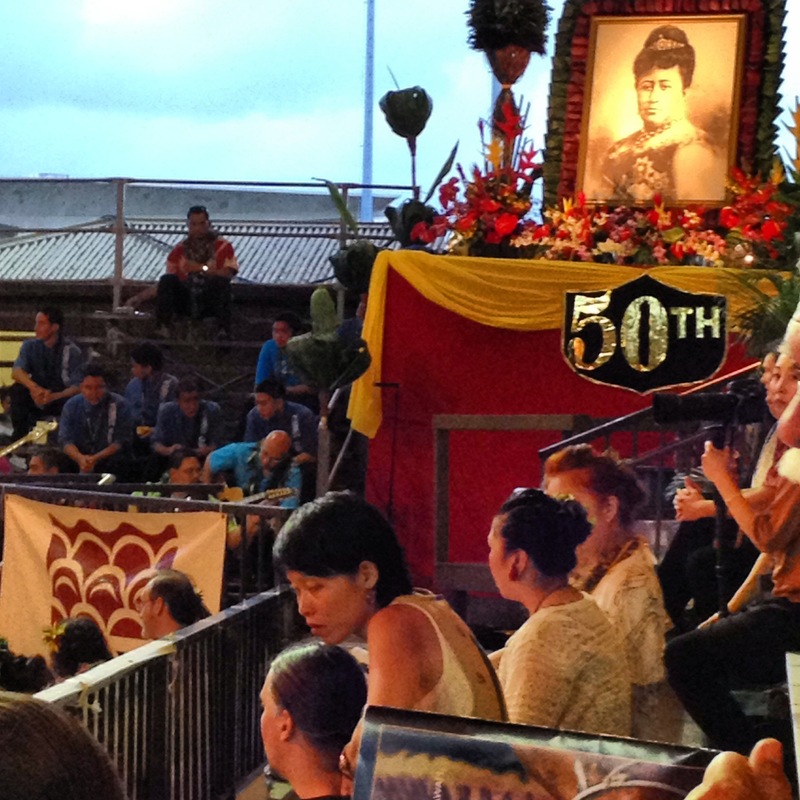 The photo above is of Queen Kapiolani who was the wife of King Kalakaua, the Merrie Monarch. 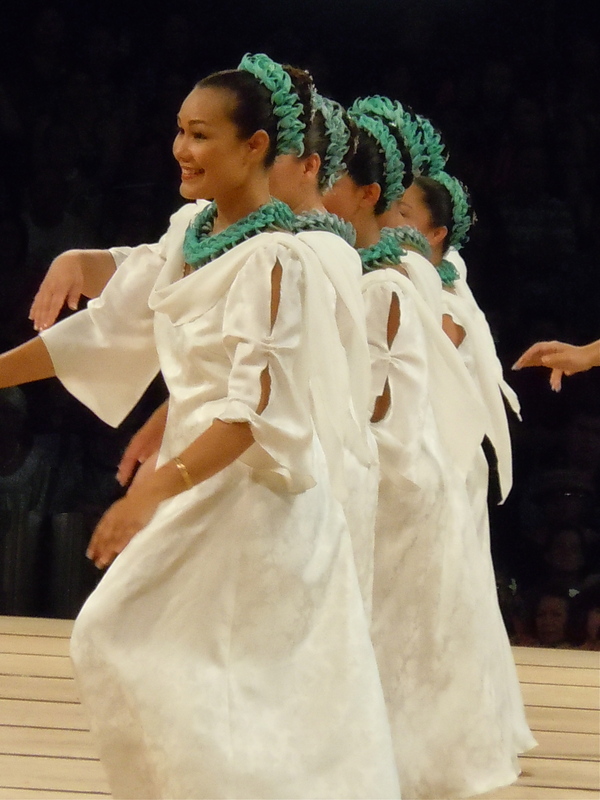 Hard to tell what their hula was portraying. 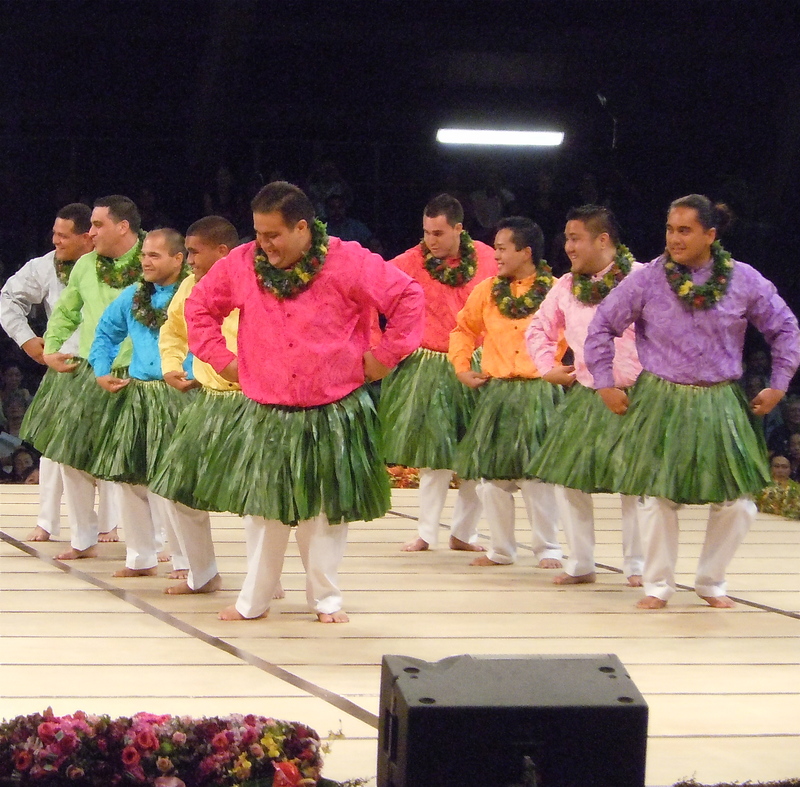 A lot of the auana dances have fun themes. 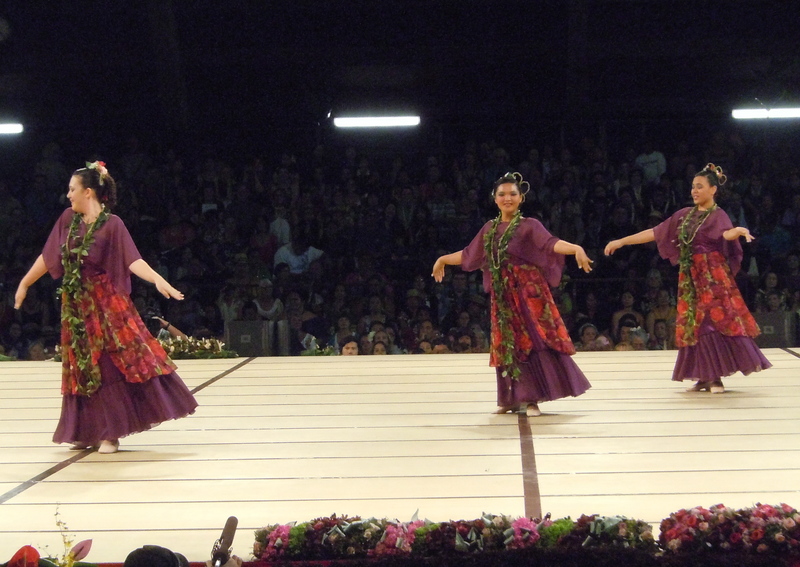 These costumes which are also part of the competition were so unique. You can double-click on these to get a closer look at the hair pieces. 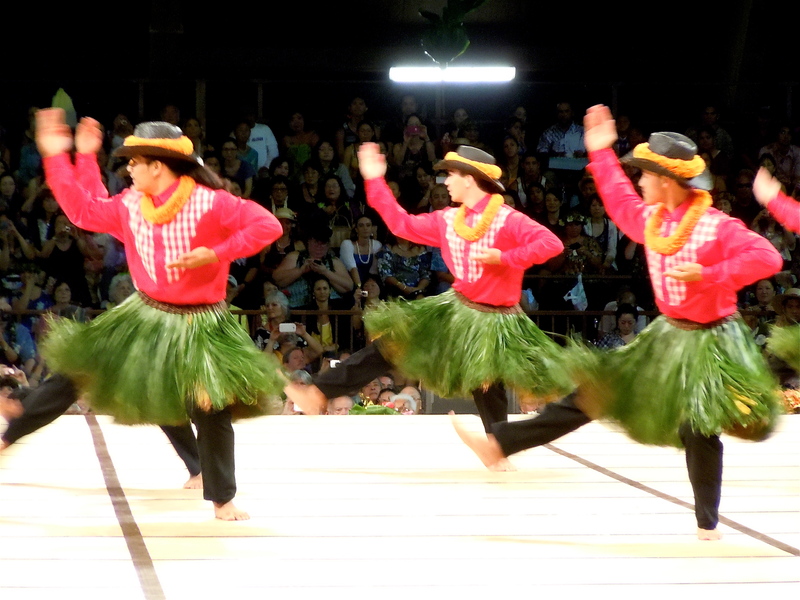 Long hair adds so much to the gracefulness of the dance. 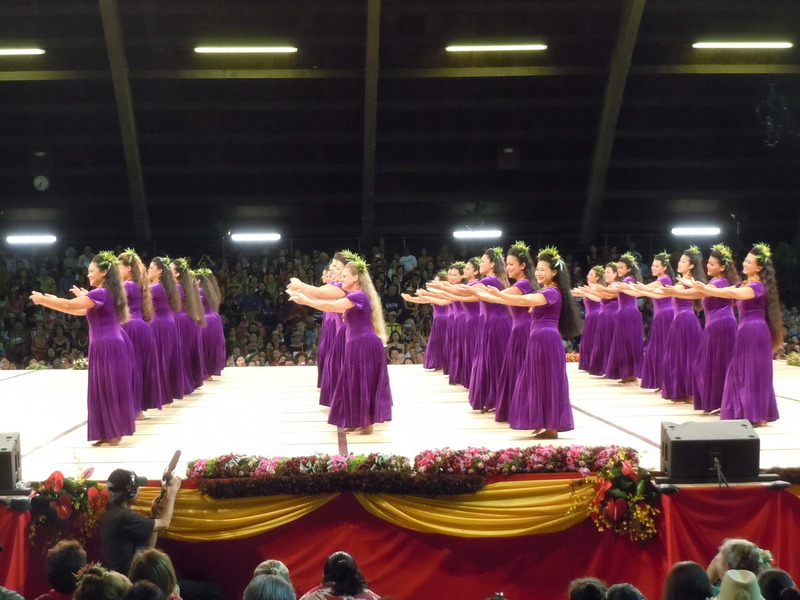 Here you can see that the musicians are on the side of the stage and not on the stage as in the Kahiko where the kumu drums and chants. 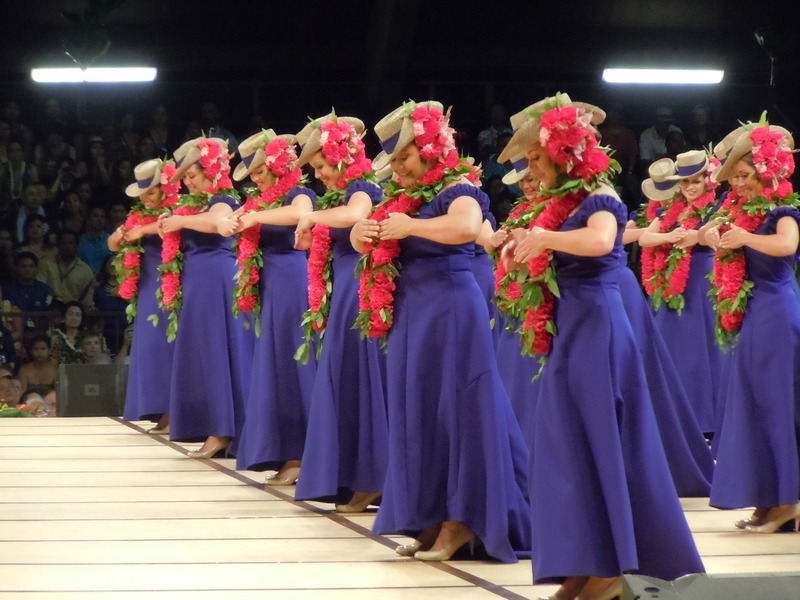 Not only were they beautiful in their purple dresses their hats and flower pieces in their hair were stunning. 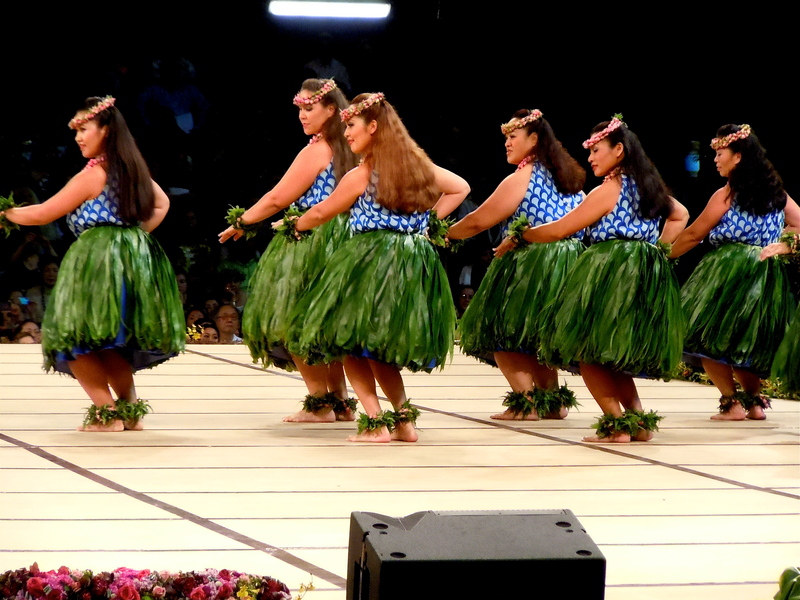 And what most people think of as in hula when the come to the islands. 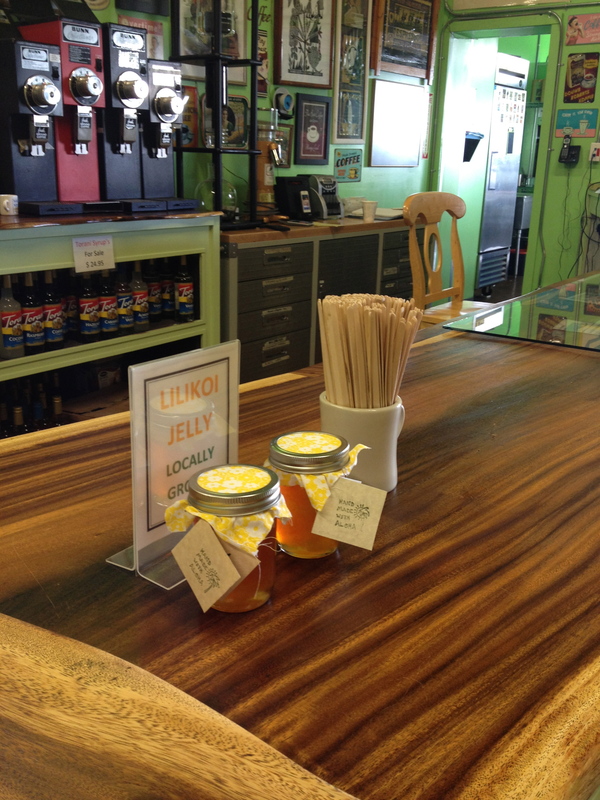 So my trip to Hilo was full of surprises, a bit of disappointment (my camera) but most of all It was an exciting experience. Happily I enjoyed the auana too. I enjoyed it all. 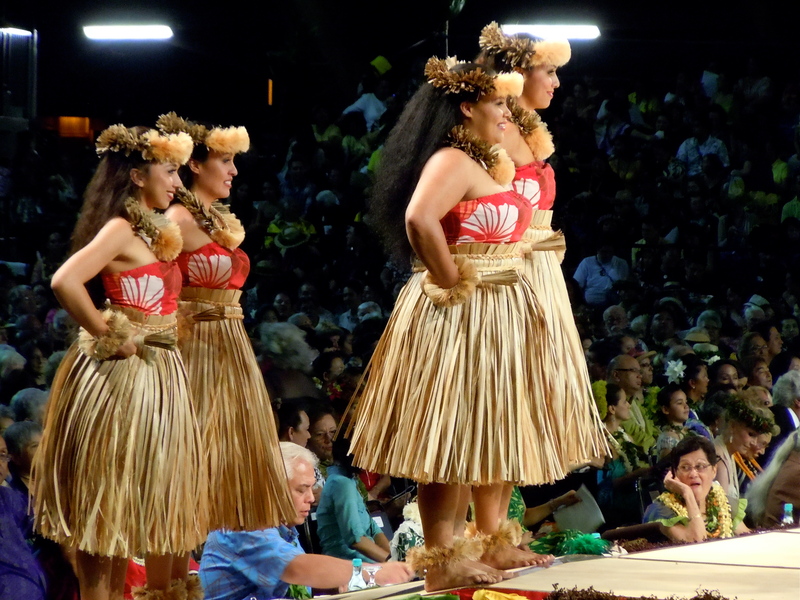 If you want to take in the Merrie Monarch some time I would suggest that you get your tickets last month! Yes it sells out that quick. 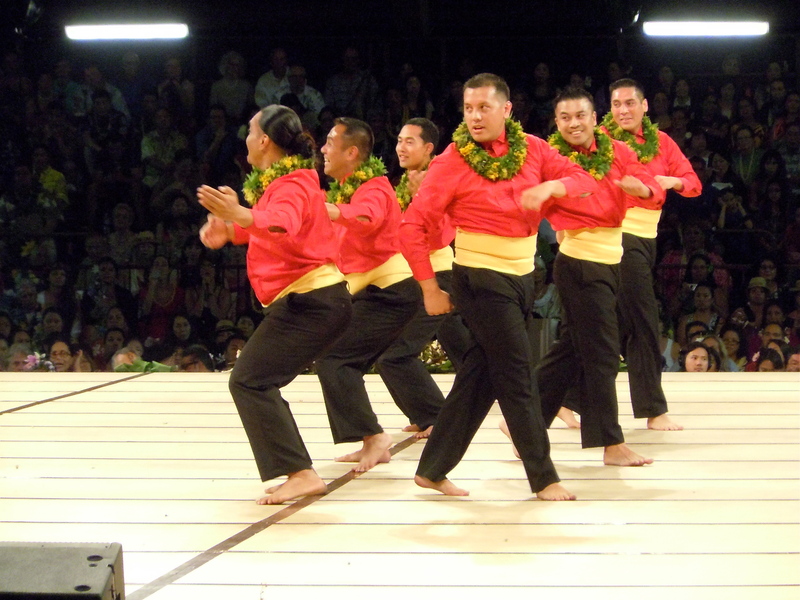 My next visit to Hula land will most likely be the competition at the Hilton Hawaiian Hotel to see my grandson dance. Let’s hope they have not picked up on the Merrie Monarchs forbidding and that they will still allow us to use are DSLR. It was about a twenty-minute drive and when all was said and done I came home shaking. But, I will do it all over again. Ah, the cool country air, taupe colored clouds grazing the tops of Velvet crevices and bingo, fresh, locally grown, smell it; Coffee. I drank my fill from a cup I purchased as I was planning to come back more than once. Visions of Saturday mornings sitting at my computer and enjoying the surrounding country side has already filled my head. Another Coffee shop has been added to my list. I guess it was pretty strong too as I could barely hold anything with my shaking hands by the time I got home. 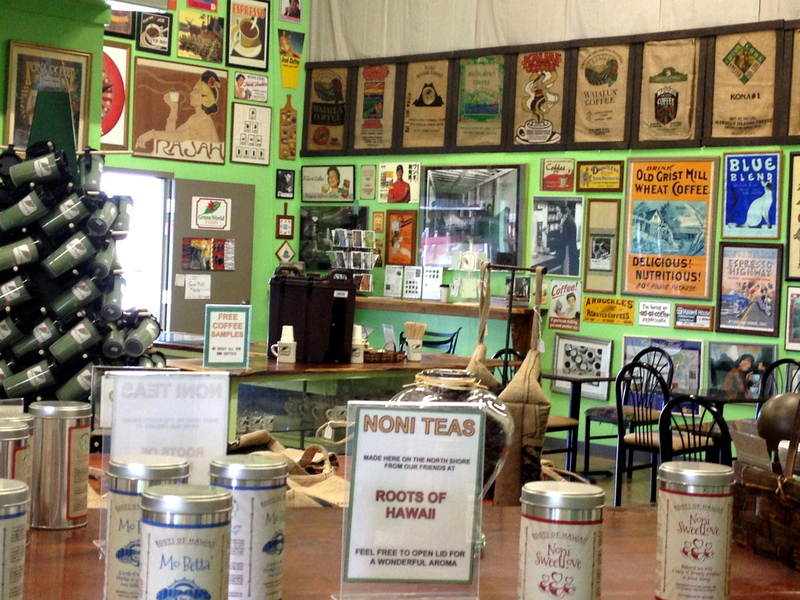 As my friends and I entered Green World Farms it was like a coffee museum with so much to look at. 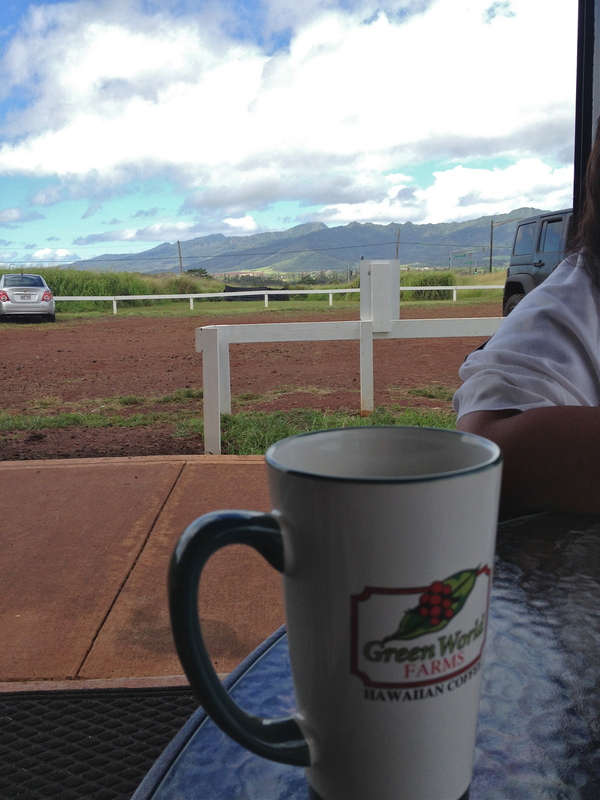 It must have been a good fifteen minutes of gawking before we finely got around to ordering our coffee. Of course I did not bring my camera with me so I had to rely on my trusty phone to record the day. 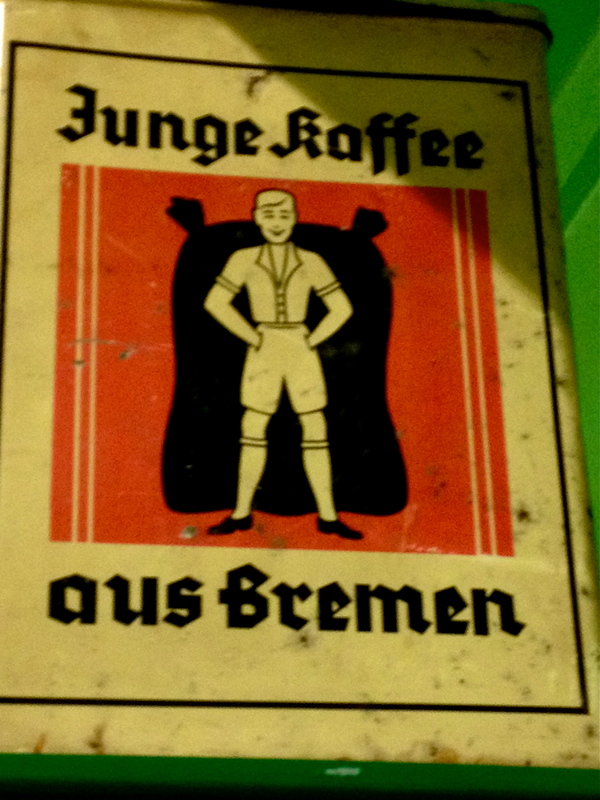 Loved this old Coffee tin. Oh how I would love to have these for my own. 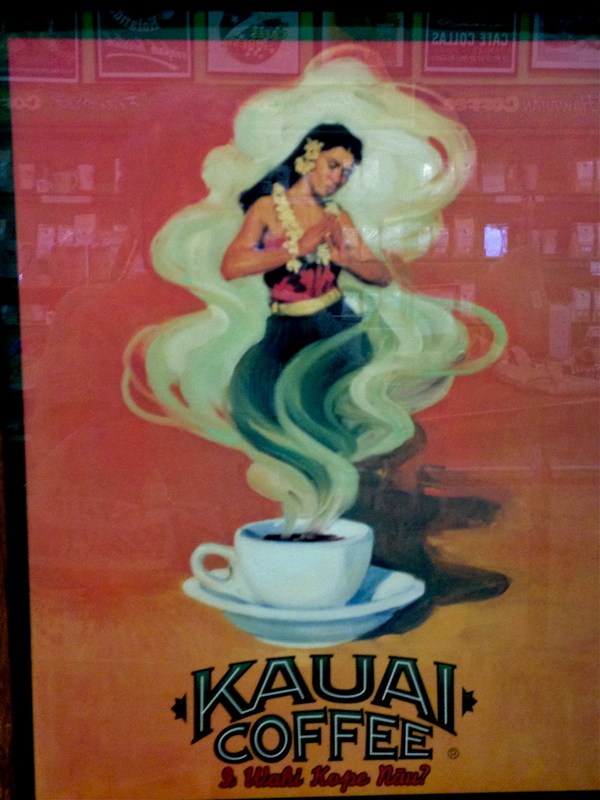 I did not even realize that Kauai had been producing coffee long enough to have such an old poster. 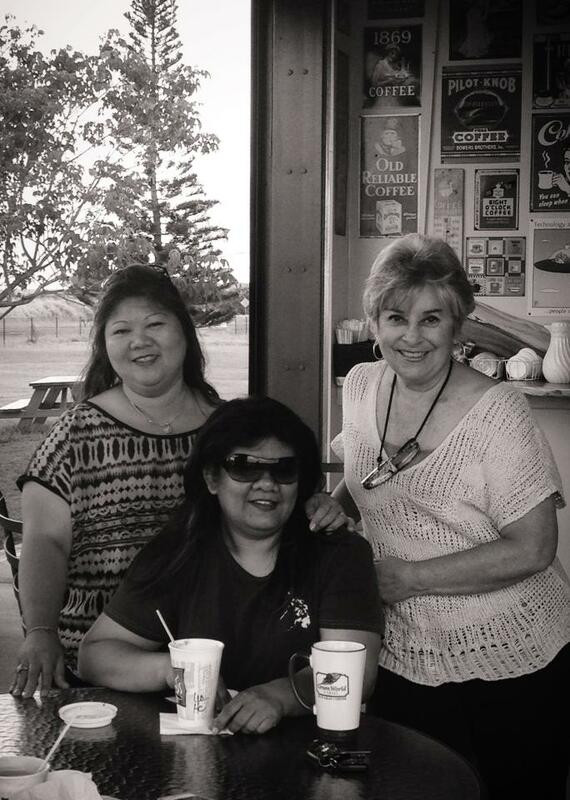 And we all know how much I love the big Island. 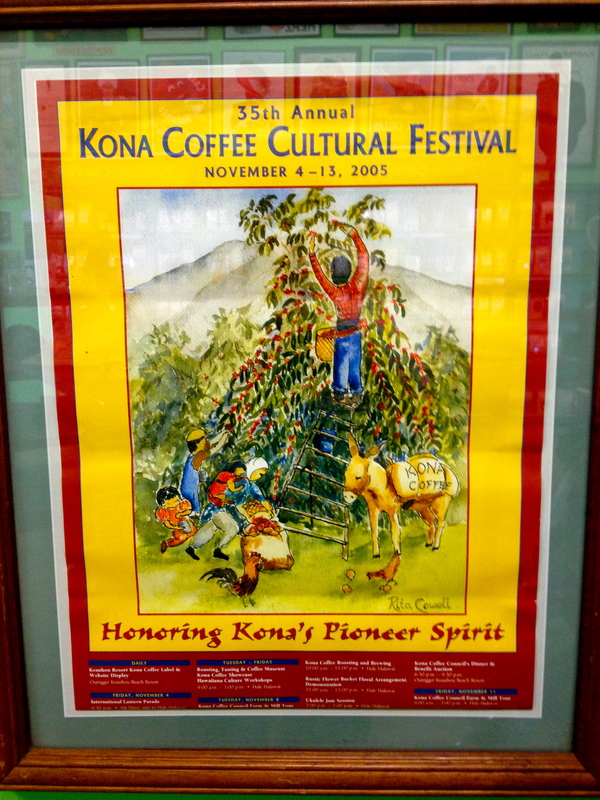 One day I will have to attend this yearly festival. For sure I will have to look out for these posters. 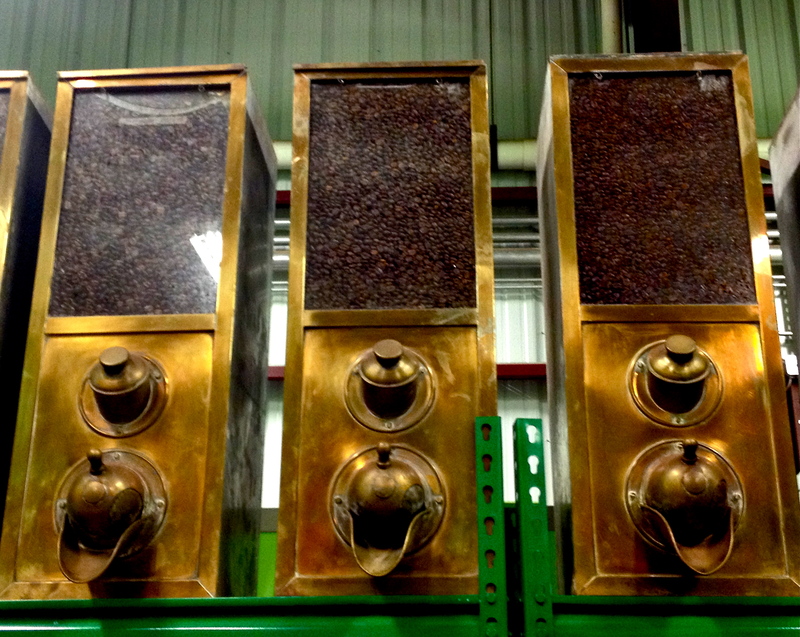 Hmm I don’t know if I could drink enough coffee to warrant one of these old coffee dispensers but it would be nice trying. 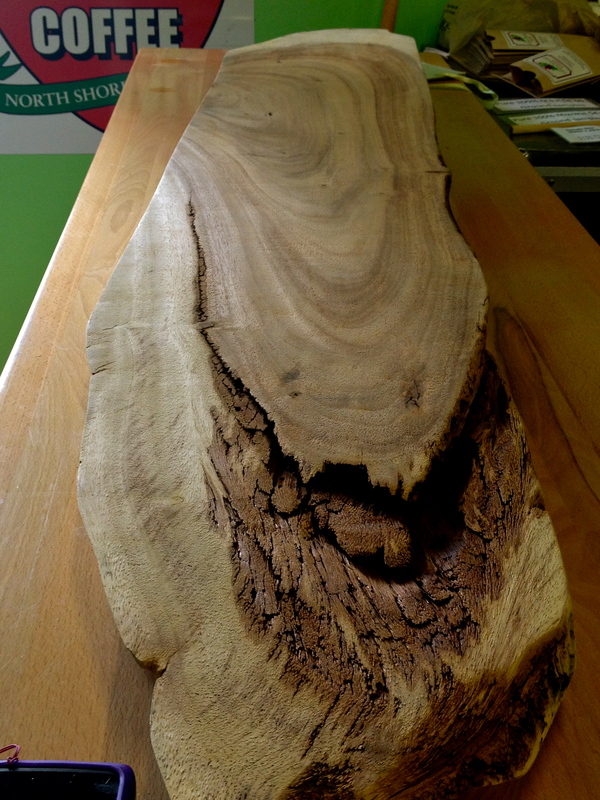 Green World Farms made their counters from the fallen Monkey pod. 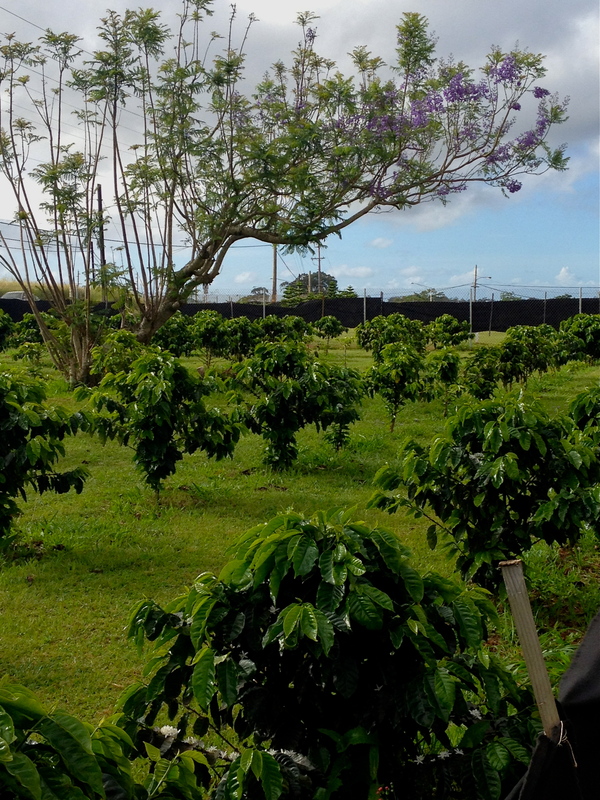 Green World Farms has started growing their own coffee beans. Here are there plants. 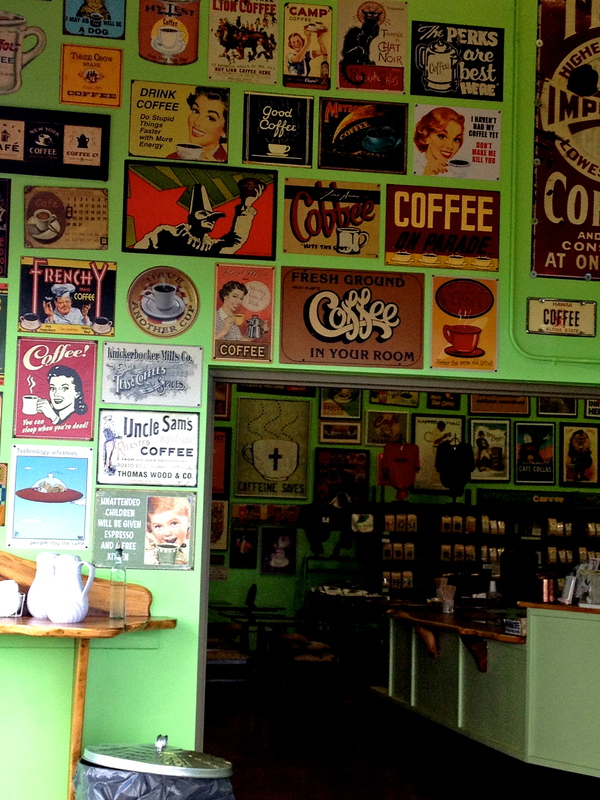 They sell all local coffee and support local bakers for the fresh pastries they serve. Great scones by the way.